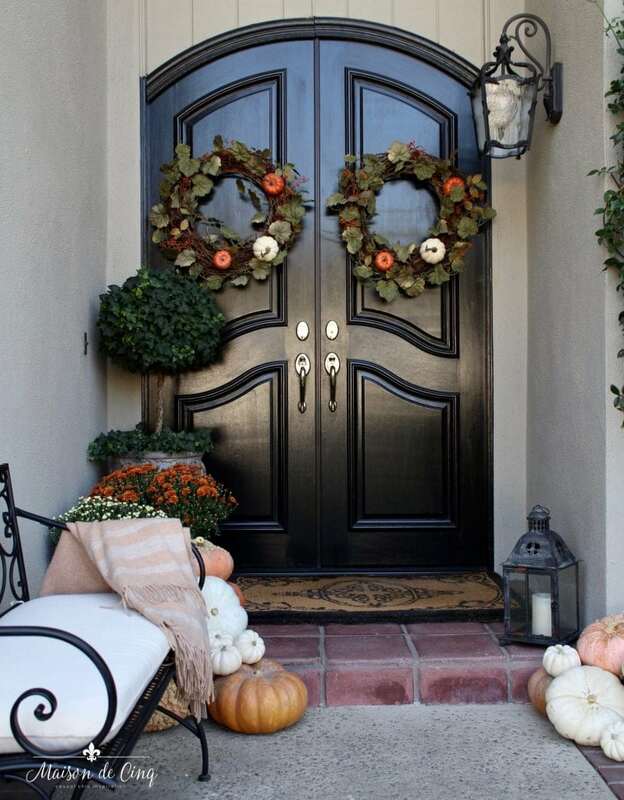 I don’t know about you, but one of my absolute favorite things to decorate for fall is the front porch. 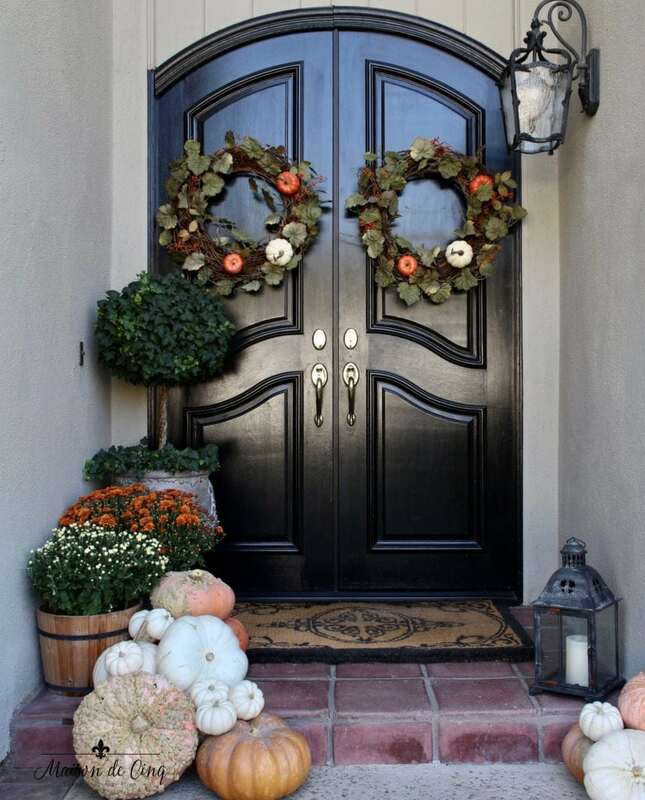 There is just something about a porch all decked out in bales of hay, tons of pumpkins, and a leafy wreath that gets me in the mood for the season! 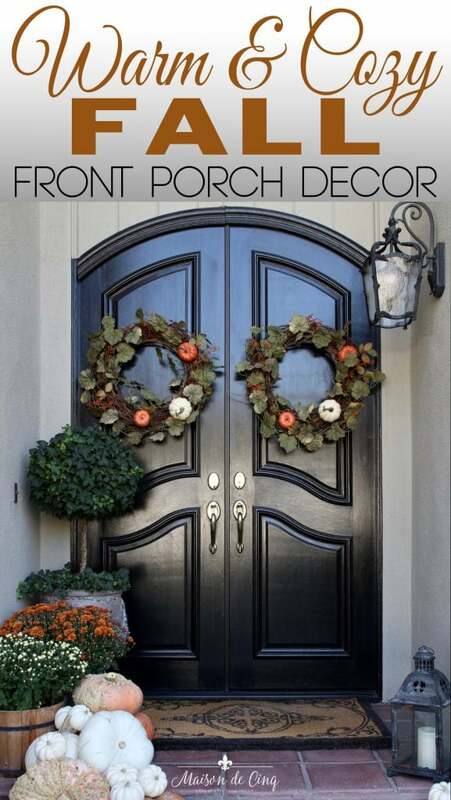 And though I don’t usually go quite that far, I am sharing what I did for my fall front porch with you today! 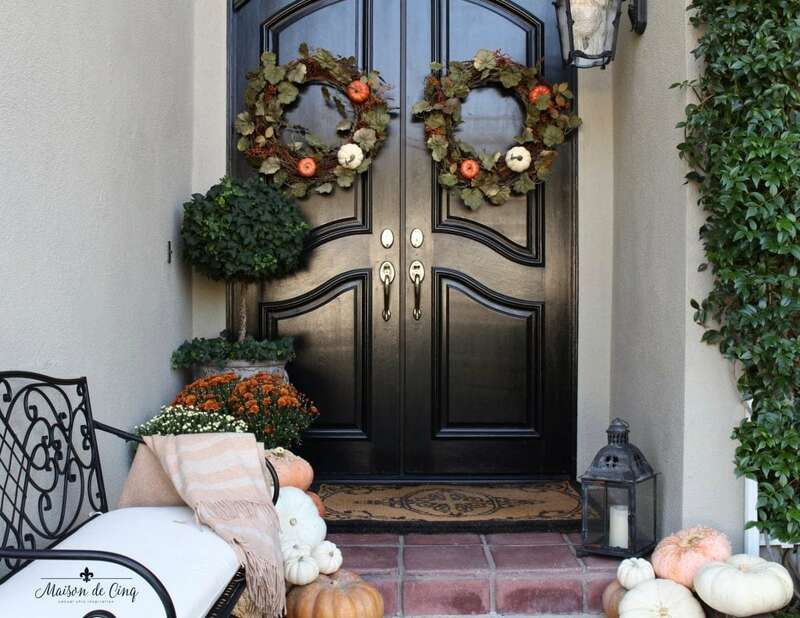 I’m joining Krista at The Happy Housie for her Seasonal Simplicity Tour, and today we’re all sharing our fall front porches. I took my cues from the inside decor this year, and stuck with the warm but slightly muted colors I used in my family room and kitchen. In years past, I did a ton of orange pumpkins outside, as well as lots of Halloween decor when the kids were younger. But now, I’m going more for a toned-down look. It’s a little less decorated, but still feels seasonal and ready to celebrate fall! Hudson says welcome! 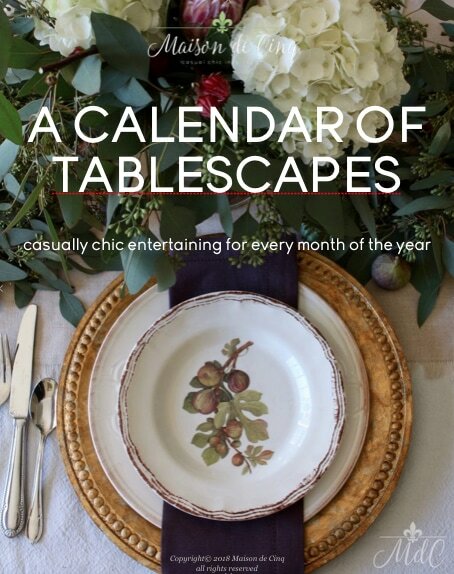 If you’re coming here from Willow Street Interiors or one of the other blogs, I’m so glad you’re here! 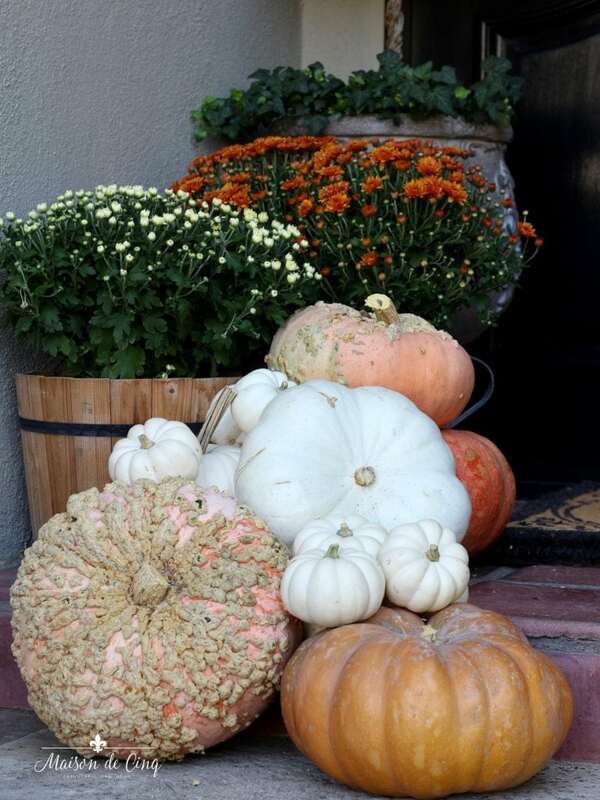 Heirloom pumpkins, as well as pink squash and white pumpkins adorn both sides of the porch. I love those pink ones! 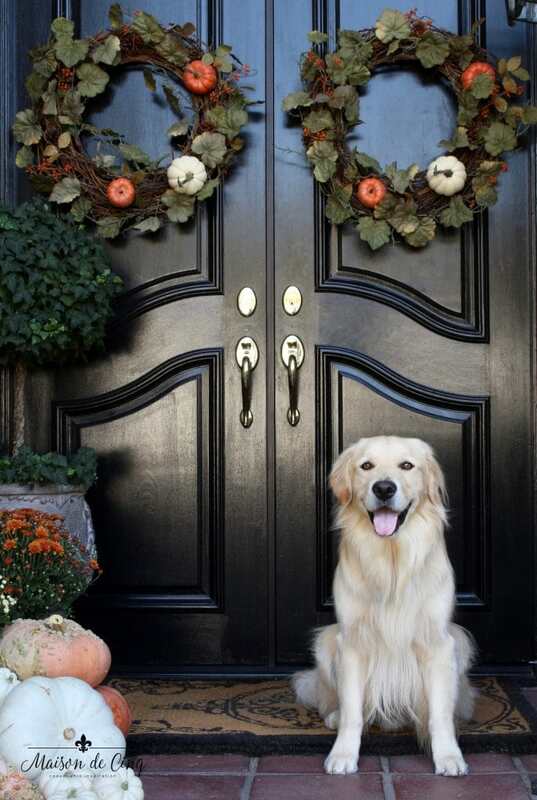 The wreaths are from Pottery Barn. I picked them because I just love the colors! I wanted a wreath that had some muted orange and white, as well as greens and they were exactly what I was looking for. Sadly, they are already sold out. However, the wreath I used last year is equally pretty and also has some of the same, soft colors. White and orange mums add to the color mix with the pumpkins. Thanks again for stopping by my fall front porch tour! 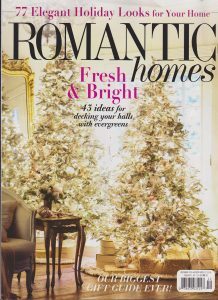 Be sure to visit my friend Rachel at Maison de Pax next, and check out some of the other porches being shared today – there are lots of gorgeous ones! It is so so pretty! I would love for you to come over and link up at Thursday Favorite Things. The party is live every Thursday-Saturday. Hope you can join us! Happy fall! 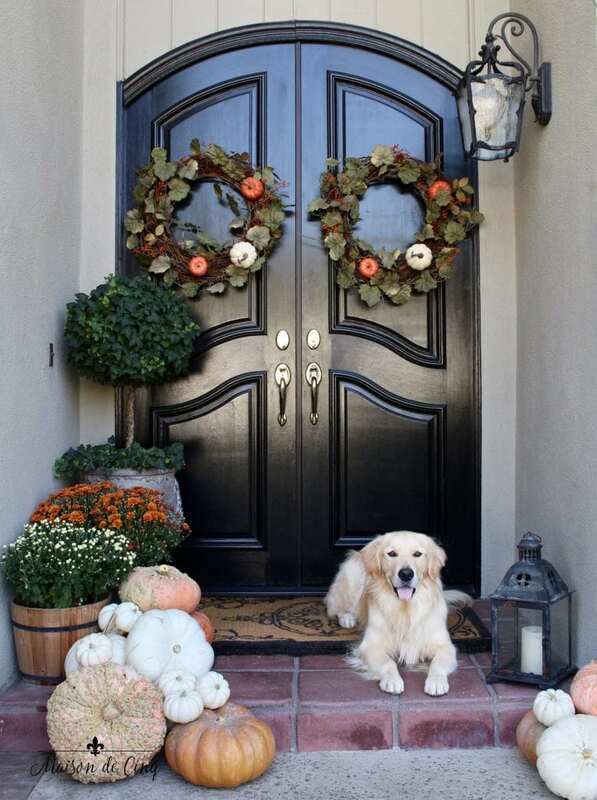 Beautiful porch Sheila…I think, other than Christmas, Fall porch decorating and seeing the beautiful porches everywhere is truly my favorite……and your adorable Hudson, is a showstopper!! Happy Fall! Your front door is beautiful and tres francais! I always wanted a double door. Hudson is precious. My granddog is a golden named Ned. Happy fall! Thank you so much for your kind words Sharon! And aren’t Goldens just the best?! I hope to always have one, and hopefully “grand Goldens” someday too! Thank you so much for your kinds words and for stopping by! I so appreciate it! How gorgeous, Sheila! I love your cascade of pumpkins! (And of course Hudson is stealing the show… what a cutie!) So fun being “on tour” with you today! Have a wonderful week! Aww thanks so much Jenn! So elegant and of course your sweet pooch completes it! 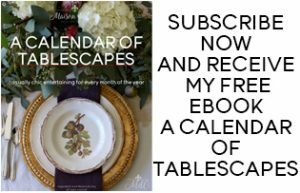 Thank you Lucy – I so appreciate that! Looks beautiful Sheila! I love the soft colors. You have some of the funkiest pumpkins I’ve ever seen! What a find! Your whole entry is so crisp and elegant and welcoming – so glad you could be part of this hop, Sheila! Thanks for your kind words, and of course, for including me! Love being a part of such a wonderful group! Oh, Sheila it’s beautiful! 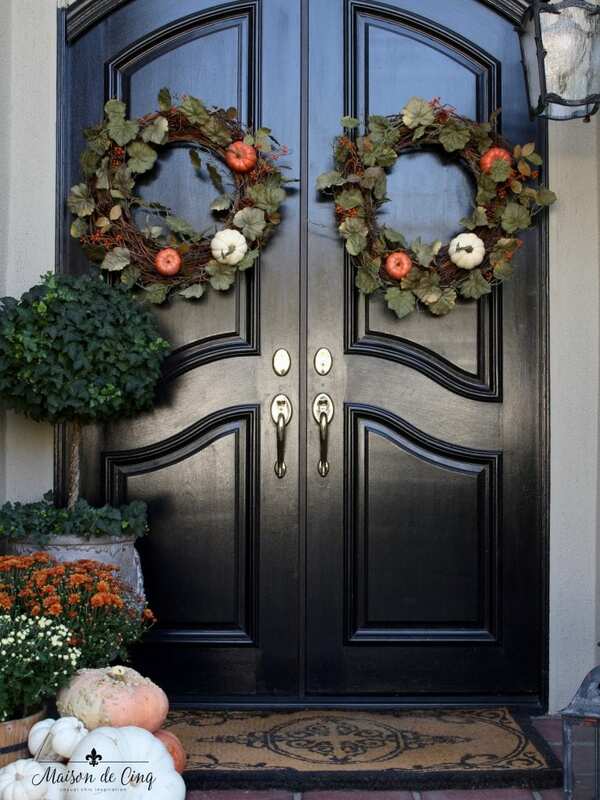 Those PB wreaths have the perfect touch of orange without being over the top and look stunning against the black doors! Happy fall! !